What is One Belt One Road Initiative? The Belt and Road Initiative (BRI), also known as the One Belt and One Road Initiative (OBOR), is a development strategy proposed by Chinese Government that focuses on connectivity and cooperation between Eurasian countries. It is short for the Silk Road Economic Belt and the 21st-century Maritime Silk Road. The silk road economic belt was also referred to as " One Belt " in short. It is a regional economic cooperation strategy proposed by Chinese leader, Xi Jinping when making a speech at Nazarbayev University in Kazakhstan in 2013, and promoted to all countries by the Chinese premier, Li Keqiang when visiting the foreign countries. One Belt aims to develop the economic partnership between China and countries and regions along the land silk road, plans to strengthen the infrastructure construction along the road and is also planning to digest China's excess capacity and labor, safeguard China's energy (such as Kazakhstan oil) and food supply, and promote the development of China’s western region. One Belt links the Asia-Pacific region and Europe, such as China, Russia, Kazakhstan, Kyrgyzstan, Tajikistan and Uzbekistan along the silk road as well as the other three five observer states and dialogue partners. There are two main trends for One Belt, starting from China and ending in Europe. One goes to Europe via central Asia and Russia. The second route is through central Asia and west Asia to the Persian Gulf and the Mediterranean countries. The 21st century maritime silk road was also referred to as " One Road " in short. It is the economic cooperation between China and southeast Asia, South Asia, the Middle East, north Africa and Europe along the maritime silk road. China's Xinjiang and Fujian provinces are said to be the biggest winners of One Belt and One Road, with unprecedented opportunities for development. Fujian is approved to be the core area of the 21st century maritime silk road while Xinjiang is positioned as the "core zone of the silk road economic belt". There are two main directions for One Road: the first is to reach the Indian Ocean from China's coastal ports and extend to Europe. The second is from China's coastal ports through the south China sea to the south Pacific. 2. North line B: Beijing -- Russia -- Germany -- northern Europe. 3. Middle line: Beijing -- Xi 'an -- Urumqi -- Afghanistan -- Kazakhstan -- Hungary -- Paris. 4. South line: Quanzhou – Fuzhou – Guangzhou – Haikou—Beihai -- Hanoi - Kuala Lumpur – Jakarta – Colombo – Kolkata -- Nairobi – Athens – Venice. 5. Central line: Lianyungang -- Zhengzhou -- Xi 'an -- Lanzhou -- Xinjiang -- central Asia -- Europe. The One Belt One Road covers a lot of countries and regions in the world. Here is the One Belt One Road 64 countries list. Kenya is the only pivot of China's One Belt and One Road Initiative in Africa and the largest recipient of Chinese financial aid in the construction of new silk road. In May 2014, China and Kenya signed a cooperation agreement on the Mombasa - Nairobi Railway. It is the first new railway to be built in Kenya in the past 100 years, which is the pharynx of the east African railway network. In addition, Chinese enterprises joined hands with GE and increase the EPC market strength. E.g., in 2015, China Machinery Industry Group used 60 1.7 60-103 fan in its base construction of Kenya's wind power project. On December 22, 2015, Chinese construction co., LTD. formally signed the EPC general contract of the Karachi - Lahore Highway project with Pakistan’s National Highway Administration. The Karachi - Lahore highway project is the largest transportation infrastructure projects for China-Pakistan economic corridor. It is about 1152 km in total and designed with two-way six lanes at a speed of 120 km/h. On January 10, 2016, the main project of the Karot hydropower station, which was built by China three gorges corporation, was started on the Ji lahm river r in Pakistan. This is the first foreign investment project of the silk road fund. The Chinese government has pledged to invest at least $35 billion in Pakistan by 2030 to finance the construction of power plants. The Ya-Wan high-speed rail will connect Djakarta, the capital of Indonesia, with its fourth largest city, Bandung. 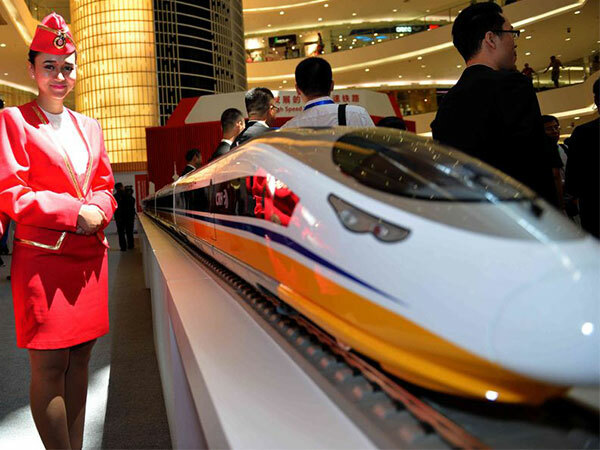 According to a report jointly prepared by the two countries, the total length of the line will be about 150 kilometers, with China's technology, Chinese standards and Chinese equipment to be adopted, with a design speed of 250-300km/h. After completion of this high-speed rail, the journey from Jakarta to Bandung will be reduced to about 40 minutes. On February 6, 2016, Iranian President attended the opening ceremony of Tehran - Mashhad High-speed Rail project. The project is expected to be complete after 42 months, five years later periods of maintenance. The project will be built by the Iranian infrastructure engineering group MAPNA and China’s company. On December 25, 2016, China--Laos railway started construction. According to the plan, the railway will be completed by 2021, and it will take four hours from the Chinese border to Vientiane. The second phase of the Sheila GanJie Power Station project has landed smoothly and is now in the construction phase. The completion of the project will alleviate the local electricity shortage in Bangladesh.